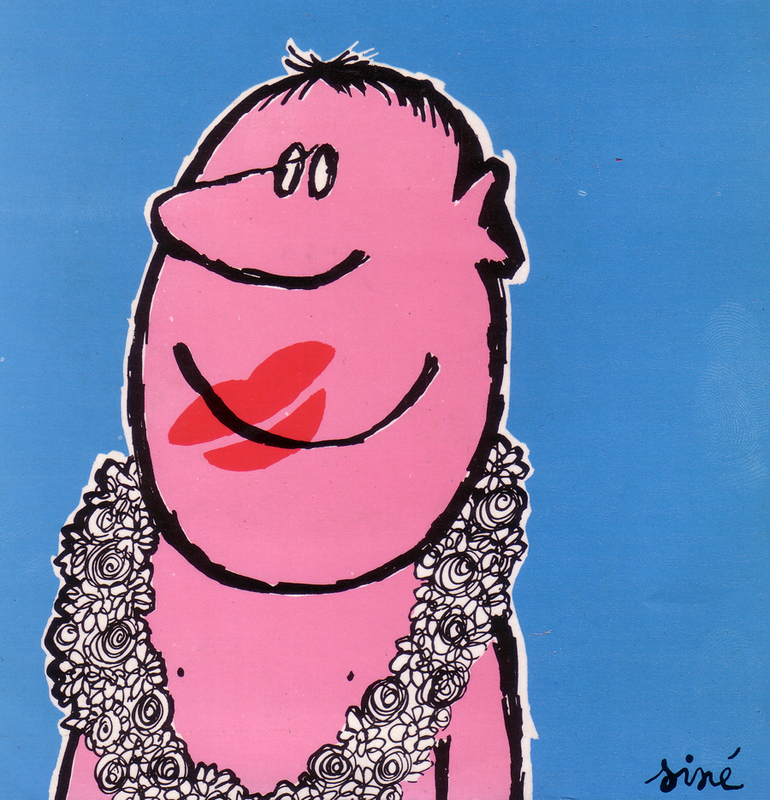 I pretty much wrote all I know about Sinè in the last post and I couldn`t find out anything about the Beach Combers at all. I`m pretty sure they are not an authentic Hawaiian group, but more like a Hawaiian parody. This is funny music! 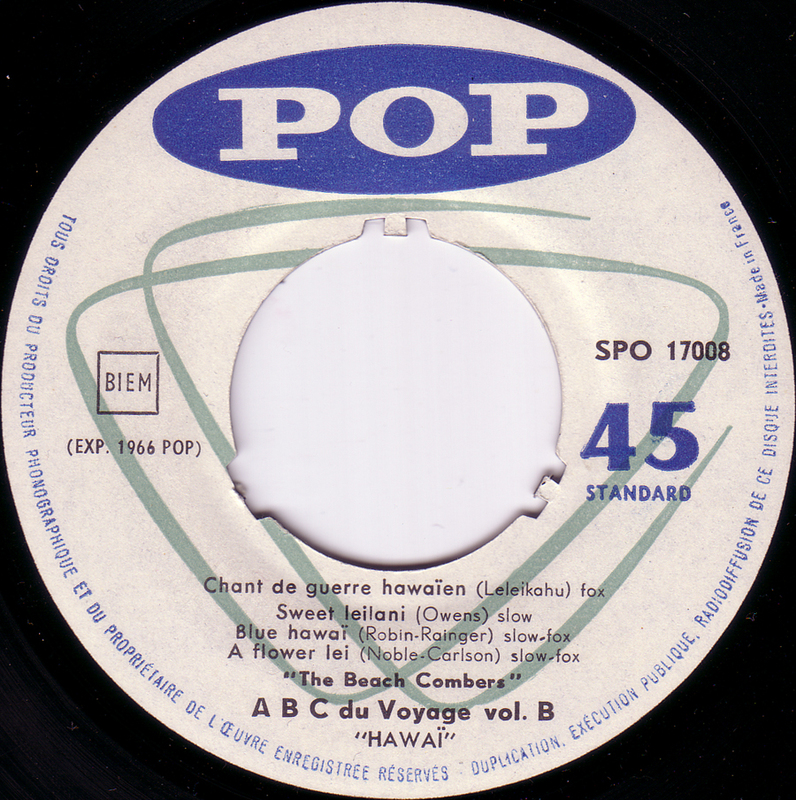 Still the two Hawaiian-Swing standards “Minihaha” and the “Hawaiian War Chant” sound solid and there is a nice steel-guitar on the slow songs. 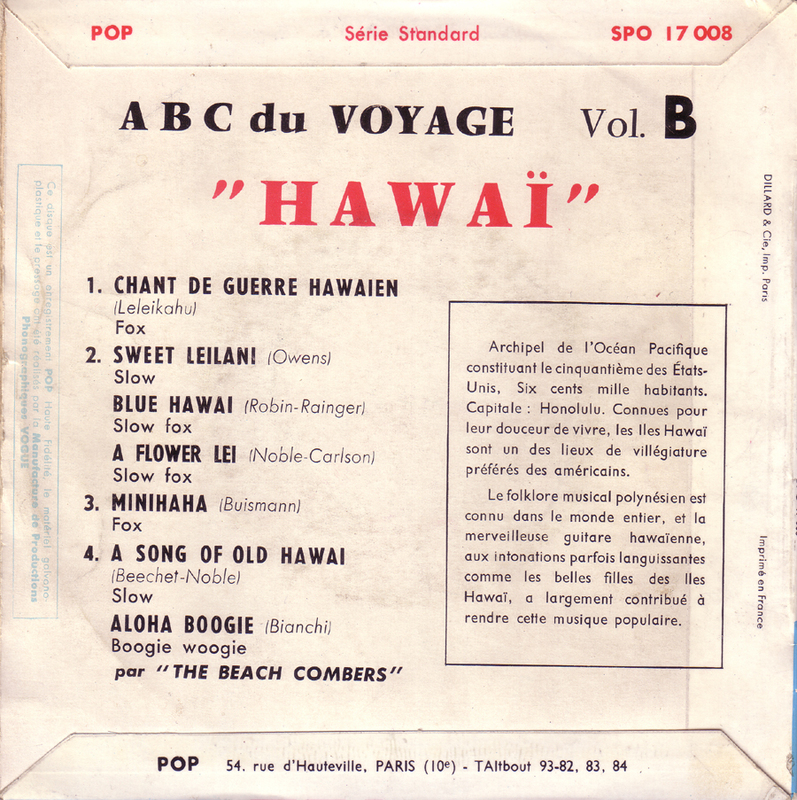 The Beach Combers or Hawaiian BeachCombers is one of the many fake hawaiian band of french steel guitarist Marcel Bianchi. 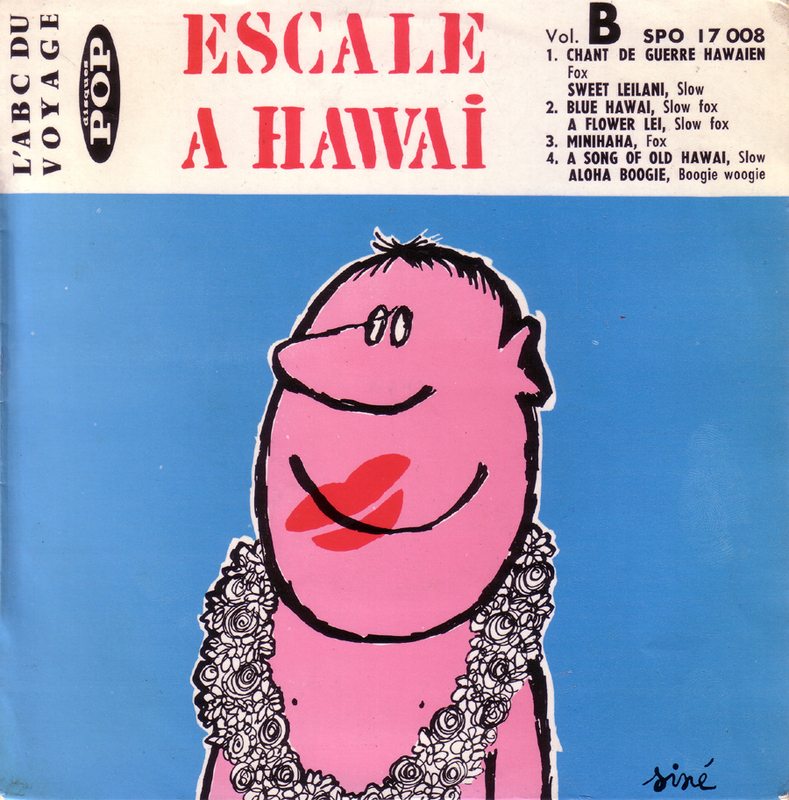 He released lots of records on the Vogue “Mode Disques” serie, i greatly recommend the “Hawaiian Beachcombers” LP (The one with Moana surfin’), cool Now sound and Jazz style on most of the tracks. One thousand thanks for your great blog, it’s a real pleasure to visit. Merci beaucoup pour le commentaire, whoops. And many thanks for the missing information. I will be looking out for Marcel Bianchi now. Great blog of yours too!